RV Education 101, founded in 1999, announced the release of a new book, titled “The RV Book”. 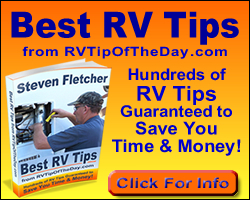 RV Education 101 produces professional RV training videos, DVD's and books on how to use and maintain the systems onboard a Recreation Vehicle (RV). Owner's Mark and Dawn Polk felt there was not enough emphasis placed on properly educating RV consumers on the complexities of owning and operating an RV.